I met with Joy Winston at Chocolat in Harlem. The food isn’t as good as I remember. The new location is in a nicer area of Harlem. The new layout of the restaurant is less relaxed. The designer chose clean colors. I really love the micro-tiles on the wall behind the bar. The earth-tone shades of brown and beige are simple, yet refined. The tables are small; in some ways awkward. Although I sat with the girls, I felt like an outsider because of the positioning of my seat. Even though Chocolat labels itself a restaurant and lounge, there is no lounge area. I prefer the old Chocolat. Interestingly enough, the new Chocolat restaurant seems as though they’re doing better than the old Chocolat lounge. This makes me think Harlem has a greater demand for restaurants over lounges. There is a need for more lounges Uptown especially for those annoyed with commuting Downtown. In addition, it’s nice to get away from the “stiff” Downtown attitudes and ridiculously high prices. I was really excited to find that Chocolat had re-opened after closing a few years ago. I felt disappointed with the many changes in their new menu and layout. I wasn’t happy with the food, and I didn’t care for my cocktail. A Tokyo Ice Tea sounds wonderful, but it doesn’t taste as wonderful as it sounds. 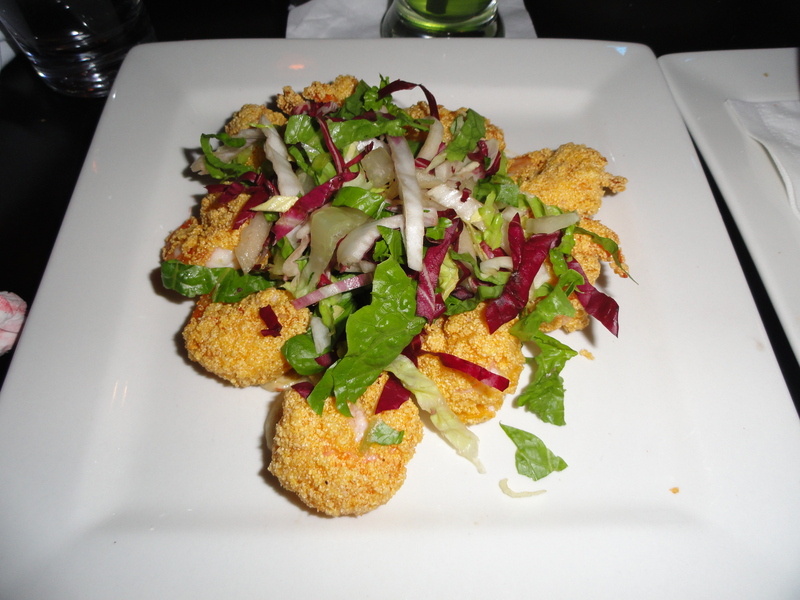 For dinner I had cornmeal crusted shrimp on a bed of tossed tri-color greens, and Cajun rémoulade. I also had a side of sweet potato fries. The shrimp was o.k. The greens were bitter. The rémoulade, however, was quiet yummy – a perfect dip for the sweet potato fries. My experience at Chocolat was o.k. I think the most important part of it all was spending time with a good friend.